Christmas trees come in all shapes and sizes. The type of tree you might buy for your own living space has a lot to do with just exactly how big that space is. Just because you live in an apartment doesn’t mean you can’t have a live Christmas tree. And if your home has the space you might the type that embraces the floor to ceiling variety of Christmas tree! When it comes to decorating the tree and keeping it fresh there are some helpful hints to put on your own holiday checklist. With regard to keeping your tree green, you should make a fresh cut on the stump of the tree and put it in water right away. If you’re buying a tree from a lot just ask them slice off an inch from the bottom in order to facilitate this. A fresh-cut tree can absorb several quarts of water right from the get go. That’s why it’s vital that you refill your Christmas trees planter several times a day in that first week. After that, you can cut back on the amount of water but it’s best to have a planter that’s large enough to hold water so your Christmas tree can drink whenever it’s thirsty! Everyone has their own methods for decorating the tree. The best approach seems to be hanging up lights first, then the garlands and then the ornaments. You can then finish it all off with some tinsel. When it comes to hanging those Christmas lights don’t discount the inside of the tree. If you weave your light strings along the branches from the inside and move out to the outer edges you’ll get a much more robust array of twinkling lights. The same can be said for when you hang ornaments on your tree. Don’t just put them on the tip of branches but hang them inside for a bit more depth. This also creates a very interesting look for your Christmas. As for your ornaments they’re probably fall into two categories: filler ornaments and keepsake ornaments. The filler ornaments are the round balls or other discount ornaments that might not be a family heirloom but certainly provide a lot of color and sparkle. Your keepsake ornaments are all those special ornaments that have either been given to you as gifts or handed down through the family. These one-of-a-kind ornaments should be spaced apart every 2 feet horizontally to create a layer of keepsake and filler. 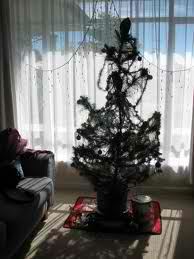 Many families like to keep their Christmas trees up until at least January 6 which marks the end of the advent calendar. By that time your Christmas tree will definitely be more brittle than when you first bought it. You should make sure that you remove it from your home and have plans to make sure it properly disposed of before it creates a hazard. If you know when you’ll be taking your tree down then you can set up an appointment today with Junk King San Antonio to make sure that tree will be picked up from your curb. The last thing you want is to have that tree turning brown waiting to get picked up! This entry was posted in Christmas Tree Disposal, Junk King San Antonio, san antonio hauling, San Antonio Junk Pickup, San Antonio Junk Recycling and tagged clear clutter San Antonio, get rid of junk san antonio, professional haulers, San Antonio Christmas Tree Disposal, San Antonio Junk Removal on December 23, 2011 by Mike Hasselbalch. Last updated August 2, 2017 .